G.SKill's new memory features 4 sticks of 8GB memory modules which feature fast speeds and are compatible in dual or quad channel mode. 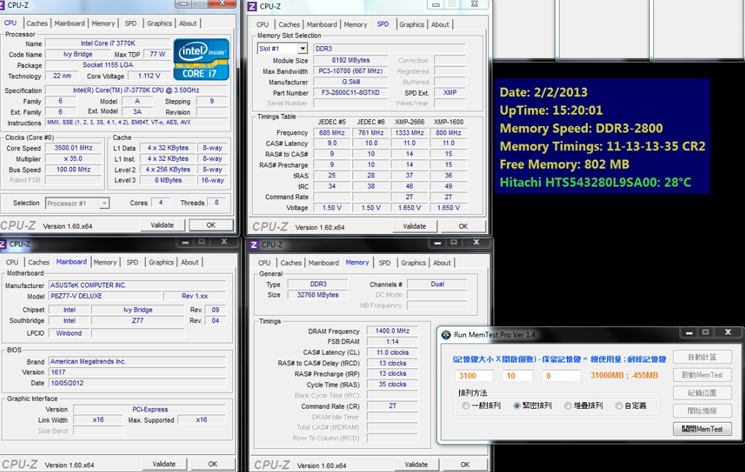 Taipei, Taiwan 4th February, 2013 - G.SKILL International Co. Ltd., manufacturer of extreme performance memory and solid-state storage with superior quality, announced today, the world’s fastest DDR3 32GB Memory Kit – “Trident X Series 32GB (4 x 8GB) 2800MHz C11-13-13-35 @ 1.65v Memory kit”. 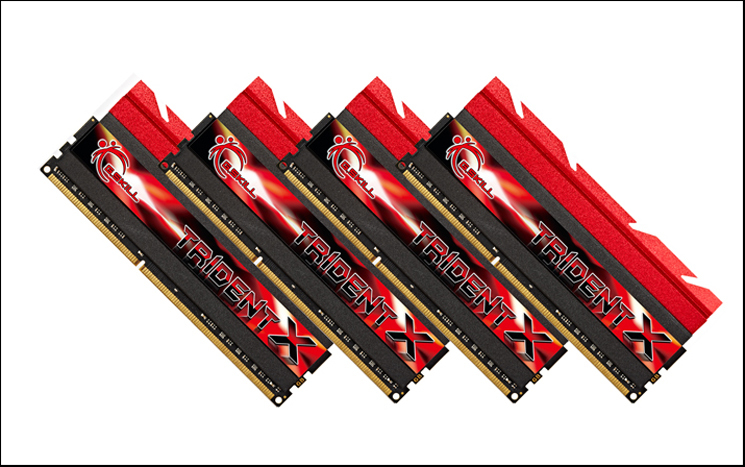 G.SKILL – world renowned for producing memory modules at extreme speeds, has once again proven as “a brand to be reckoned with” in the DDR3 memory sector by announcing the world’s fastest DDR3 32GB Memory kit, adding 32GB kit to the world’s dominating DDR3 Series – G.SKILL “Trident X”. The new Trident X 32GB kit - F3-2800C11Q-32GTXD features 4 sticks of 8GB memory modules, which will fit perfectly on Z77 chipset & IVY Bridge CPU, and it’s also the one and only 32GB Memory kit running @ 2800MHz CL11 in the market today. Being the first to introduce such large capacity memory kit running at an incredible speed of 2800MHz, G.SKILL continues to impress power users/professional overclockers by offering the best memory solution with highest quality.